Years ago I remember being on a flight from Chicago, Illinois in early spring. I was headed back to Boston, and ultimately back to my home in southern New Hampshire. It had been a long two week trip to Asia. I remember staring out a window of the plane looking at the cold, bleak and unending darkness of the horizon and contemplating what to put on my DIY home improvement list for the newly arriving spring season. I had spoken to my wife earlier in the day, during my layover in Chicago, and she had told me that all of the snow had finally melted and that the temperature had soared into the low 50’s that afternoon. As I sat idly in the plane, anxious to finally get home, I had formulated a list in my head of about a dozen projects to work on in the weeks ahead. Years later I am still living in that same home and find myself contemplating a similar DIY home improvement list for another northern New England spring season. It’s mid April and I am sitting at my kitchen table looking out a window at a raw and rainy day. The snow is gone and the Daffodils planted near the side of the house are poking several inches up out of the ground. The grass has even begun to turn from a frozen brown look to a light shade of green. As I did so on the plane years earlier, I am formulating a list, but this time on paper, of all the various projects I need to work on. Some I deem as critical, and that must be done soon, and others that I can put off to late spring or early summer. Summarized below is my list of projects to do this spring, many of which I think every homeowner must do, but may not yet realize it. Hopefully if they read this article they’ll be either reminded or made aware of what should be done to keep their home and yard both operational and aesthetically attractive. With the snow finally gone the first things I do are store the snowblower away for the season and pull out the lawnmower. I always drain any residual gas from the snowblower and run the engine until it is completely out of gas. 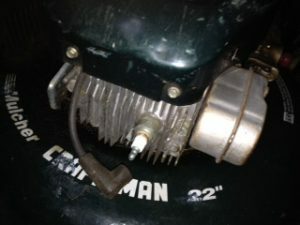 With the lawn turning green, I need to clean its spark plug and air filter, check the wheels and handles to make sure they’ll stay on for the season, change the oil, sharpen the blade and pour fresh gas into it. After the snow pack has finally melted I rake the lawn to remove any dead leaves and debris from it and to effectively dethatch the lawn to enable it to absorb water and nutrients better. Every spring season it is crucial to fertilize the lawn to keep it healthy and strong and looking vibrantly green. In early spring I apply a fertilizer with a crabgrass preventer to not only strength the grass roots but to also mitigate the growth of crabgrass during the ensuing warmer months. In early summer I apply another application of a weed and feed fertilizer to maintain the lawn’s vibrancy and to mitigate other types of weed growth. Also in early spring I apply Grubex to prevent grubs and birds from destroying the lawn. I store away most of my deck furniture during the winter months, and similarly the grill. I typically pressure wash the furniture after taking them out of the garage so that they are free of debris and any mold that may have grown on them during the previous summer season. I also get a fresh tank of propane for the grill so that there are no unpleasant surprises when barbequing with guests over. Living in northern New England homeowners have to occasionally contend with errant snowplow blades hitting mailboxes. This is not to say that our snowplow drivers are drunk when plowing the road. We simply get a lot of snow, and finessing a plow blade down hundreds of miles of road in a town two or three times a week for 12 weeks straight can be a tough and monotonous job. As a result, mailboxes occasionally get hit by the plows, and when they do you prop them up the best you can until the snow melts. Once the snow is gone, it’s time to replace the battered and broken old mailbox post with a new one. In some cases, you may be able to reuse the old mailbox, but depending upon the snowplow damage, and the weather elements, you may need to purchase a new one. Since I have wood clapboards on my home, exterior painting is a regular spring DIY home improvement project. I try to do a different section of my home every spring. For example, the main home one year, the garage the following year, and so on. Painting is slow boring work but it has to be done. If it is not, the house will look shabby and you’ll find yourself having to replace the house siding down the road in the not too distant future. A very expensive proposition! I prefer to do house painting in mid spring when the temperatures are just above 50oF and the wasps have not yet begun to be active. To do it at any cooler temperatures is not recommended by the paint producers, and to do it when it is hotter out just makes the project unbearable. Like the lawn the garden needs its share of TLC. First I spread a good vegetable fertilizer over it and then rototill it into the soil. I then put up my temporary garden fence to keep the woodchucks, deer, and other bean and lettuce loving critters out of the garden. I then plant my early crops such as peas, radishes, and onion sets. To be honest I am not sure why I still grow a garden. Between the black flies in early spring, the mosquitoes in summer, and the various animals attempting, and sometimes successfully getting into my garden, it’s an irritating battle all growing season. 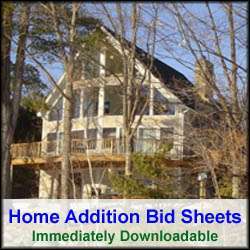 Besides my typical spring northern New England DIY home improvement tasks, this year I have a couple of additional items that are unique to my list. This spring I plan to build a new workbench for the garage and am putting up a new birdhouse and a bat house in the trees near my home, both of which I built during the winter months.